Colourpops My Little Pony Palette – Review! Colourpop has been very efficiant in releasing palettes lately, and I got this one a few weeks ago. The My Little Pony collection surely charmed many horse lovers out there, and brings back memories of childhood toys. I used to own a few and Butterscotch was my big favorite! So I was happy to see that one of the shades were named that. Surely, the design is a bit childish for some, but for 80’s and 90’s kids these ponies are responsibly for so many fond memories, at least for me, so I had to get it even though I normally steer away from packaging like this. It is, to be completely honest, neither chic or elegant as eyeshadow palettes of a grown woman in her 30’s should own. Oh well, I will just channel my inner child for this one. Even though I am not a teenager anymore, I am still very playful with colors, so I love that this was not just filled with a bunch of neutrals (don’t get me wrong, I love those shades as well). My first impression of these shadows were that they were both smooth and pigmented and true to the usual Colourpop eyeshadow quality. In other words good shadows, and simply fantastic if you take the price into consideration. This whole 12-shade palette only cost me 16$ and I know to appreciate that. But let me break down the shades for you. I am sorry but the swatches are in the oposite direction compared to the palettes because I swatched them from top to bottom, and then decidet to take the pickture sideways. Bummer, but you get it I am sure! Bluebell – Pearly beige. Nice and easy color to work with. Pretty opaque. Starshine – Shimmery Orange. Rich pigmentation, but I still prefer this with a damp brush. Blossom – Coral orange with gold shimmer. Needs some build up to reach the intensity you have in the pan, but with a little help of a damp brush you will make this happen! Butterscotch – Matt, pale pastel Lavender. This one is very pigmented for being a pastel shade. Not chalky at all which is often a problem with pastel shades I’ve found. Flutterbye – My favorite shade in the palette (quality wise, but it is also a nice color). It is a light coral/orange with a matte finish. It is very pigmented and smooth as butter. Really nice! Minty – Calling a matte magenta shade “Minty” didn’t make any sense to me, until I realized that this is actually the same shade as the pony Minty’s mane and tail! It is a tiny bit powdery, and not as pigmented as in the pan, but you can easily build it up. Skydancer – Shimmery Lavender shade. This was the dissapointment of the palette. It was very sheer and hard to build. I just could not get the pigmentation I wanted unless I used a base of similar color. Normally Colourpops shadows are better than this. I also found the formula to be a bit dry. Applejack – Not to pigmented at first swipe, but definitely buildable. Nice matte dark pink. Experienced a bit of fallout with this, and it is a bit powdery. Princess Sparkle – Dark blue teal. Nice shimmery shade that was the one shade I found the most striking. I just love these kinds of jewel toned blue shades. The prettiest of the bunch in my opinion. Snuzzle – A bit gritty and sheer, but otherwise beautiful white based shimmer hsade with blue-green shift. Works well as a eyeshadow topper, but not the best on its own since it is a bit sheer and not that buildable. Very nice as a inner corner highlight with “Princess Sparkle” (or any blue really) on the lid. Firefly – Shimmery pale blue with silver sheen. Good color payoff, and even better with a damp brush. Much smoother than many of the other shimmers in this palette. Twilight – Deep purple shade with soft pink shimmer. Good pigmentation and easy to apply evenly. Blends easy as well, which is always good with dark shades. Overall the quality of the shades are pretty good. 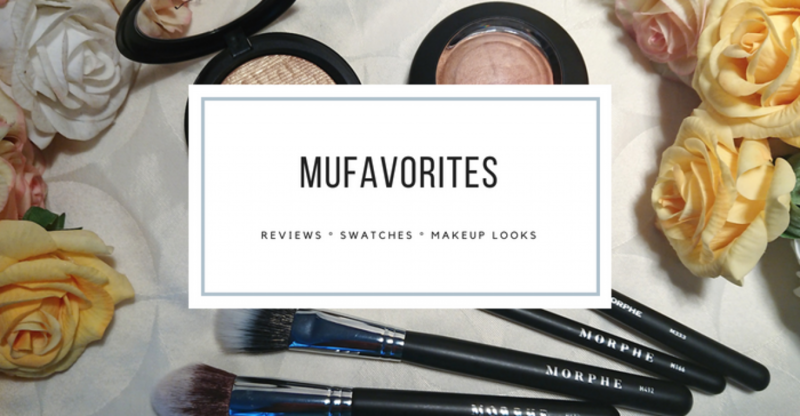 A few remarks here and there, and some shades needs a tiny bit of extra TLC to work as I want them to work, but once applied they are very beautiful and last all day on my lids (I always wear a primer). Some of the shades (Skydancer I am looking at you) are not good though, or at least not the way I like them. This is absolutely not the best palette Colourpop made. I would compare the overall impression of what I had of the “She” palette. Some great shadows, but many of them are just not of the same quality you often see with the eyeshadow pans. Don’t get me wrong, It is still a good palette, just not as good as what I know Colourpop can create. This is still a fun little collectors item! Did you try out this palette yourself? Let me know what you think of it in the comments please! Tarte Buried Treasure Eyeshadow Palette – Review & Swatches! As soon as I saw it I knew I had to have it. I am such a sucker for pretty things that stand out, and this palette sure look different. Not in terms of colors, but in terms of shape and presentation. I really fell for how the palette is filled with inter-merging circles of different sizes. That is something else compared to those square or rectangular shapes we normally see, and I love it! The palette is small, maybe 10 x 10 cm, but the whole thing is filled with shadows so there is a good amount of product in a small little thing. The shadows have different amout of produt and the range is from 0.5 g all the way up to 2.5 g. 2.5 g is big in terms of eyeshadow size. In comparisom MAC shadows are 1.5 g, Makeupgeek pans are 1.8 g and Nabla Cosmetics pans are the same 2.5 g. In total there is 12 g of product in this tiny little palette. Thats good value! The shade range is neutral with golden, pink and burgundy shades. Overall a very great palette for blue eyes, however these shades will look flattering with any eyecolor. Snorkel – Light shimmery rose gold. Coconut – Shimmery pale pink. Plank – Matte light beige. Dive – Deep plum with satin finish. Palm – Shimmery pale gold. I like that the shades are all pirate theemed! Order from left to right: Skipper, Snorkel, Booty, Coconut, Plank, Dive, Nauti, Fin, Coin, Palm. The palette is very user friendly as an everyday eyeshadow palette. It is not the most inspiring palette I’ve seen when it comes to inspire the urge to make creative and colorful looks, but it is pretty as a handy everyday palette because it’s got what you need to make a pretty day look. However, the darker shades are not very pigmented. They are really hard to build up to the intensity that you see in the pan, and they have a tendency of blending a bit away when trying to blend out the edges. Much like many cheaper palettes have a tendency to do, but I expected a bit more from Tarte. The shimmer shades also lack that “WOW” factor. I mean, they are decent enough for a everyday look if you just want a wash of shimmery gold or champagne on your lid, but I found it really hard to get those glamorous shimmery eyelids that I like. They swatch much better on the arm than they perform on the lid. A damp brush was absolutely necessary to get that nice intense shimmery lid look! Which again, is to be expected from cheap palettes, but not from Tarte. Another thing that puzzles me about this palette is how the shades are arranged. I mean, I like the pretty circles and all, but I am surprised that they didn’t put the shades that often are used the most in the biggest pans. I mean, a common problem with palettes is that base and crease shades run out before the rest even hit pan. They did have a nice way around that problem in this palette but they didn’t take advantage of it for some reason. If this will be a hit or miss depends on your preferences I think. If you like to create soft, wearable day looks you will probably like it because it is perfect for that. If you are more of a glam queen this is probably not for you, unless you think it is worth it just for the packaging. For me who is a makeup collector (read: hopeless hoarder) this palette is worth it just because it is unique. I will probably pull it out now and then for simple makeup looks I wear to work, but the shadows just lack a bit of “Oumph” for me to really think they are great. Hope you got some use out of this review. If you tried it and have a opinion about this palette please let me know! I would love to hear other peoples thoughs!